If a user does not have R installed, the RInno installer can be configured to ask them to install R along with a shiny app, include_R = TRUE. 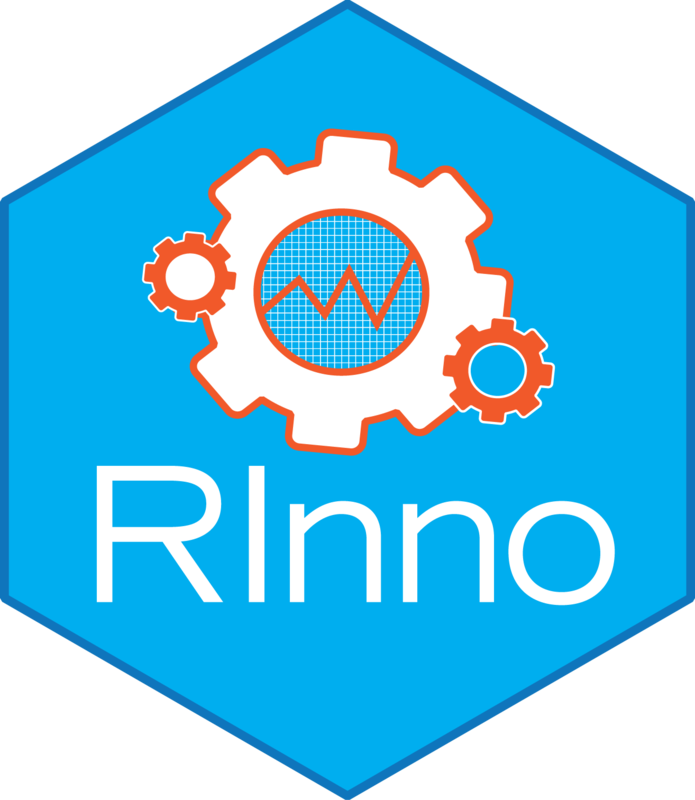 And similar to Dr. Lee Pang’s DesktopDeployR project, RInno provides a framework for managing software dependencies and error logging features. However, RInno also supports GitHub package dependencies, continuous installation (auto-update on start up), and it is easier to manage with create_app, the main RInno function. DesktopDeployR requires many manual adjustments and a deep understanding of the entire framework to use, but RInno can be learned incrementally and changes automatically flow down stream. You don’t need to remember the 100+ places impacted by changing app_dir. RInno only requires a high-level understanding of what you’d like to accomplish. create_app creates an installation framework in your app’s directory, app_dir. The main components are a file called “app_name.iss” and the “nativefier-app” directory. You can perform minor customizations before you call compile_iss. For example, you can replace the default/setup icon at Flaticon.com, or you can customize the pre-/post- install messages, infobefore.txt and infoafter.txt. Just remember, the default values (i.e. create_app(info_after = "infobefore.txt")) for those files have not changed. The Inno Setup Script (ISS), app_name.iss, will look for default.ico and try to use it until you update the script or call create_app with the new icon’s file name (i.e. create_app(app_icon = "new.ico")). Likewise, the Electron app will need to be recompiled to capture any manual changes to files in app_dir. Electron is now used to render the shiny app’s UI. All other user_browser options will be deprecated in future releases. Feel free to read the Inno Setup documentation and RInno’s documentation to get a sense for what is possible. Also, please suggest useful features or build them yourself! We have a very positive culture at FI Consulting, and we would love to get your feedback.